Dusan Tadic is closing in on a move back to Holland with Ajax after informing Southampton that he wants to leave. Around £15 million had initially been suggested for a player who cost Southampton £10.9m in 2014 but, with the player finishing last season as their leading scorer and the general inflation in transfer fees, they will be looking for closer to £18m. Southampton should flog him. Turns up for probably 8 or 9 of the 38 games they play a season. Absolute garbage and extremely wasteful with his final ball. I think his decision making is terrible. Sometimes he has the perfect chance to cross a ball and he'll try take on the defender again and inevitably lose it. Needs to play in an inferior league to regain his confidence. The Dutch league will suit him well, he'll look half decent over there. I'm surprised he's not pushing for a move to China or to a team like West Ham for more money to be honest. The problem with Dusan Tadic, as you've eluded too, is he is only at his best for a small portion of the season. Which is a shame really, because if he performed at that his best every week, a top six club may have taken a gamble on him at some point in the last couple of seasons. With the attitude that has set in over the last two seasons of you have a top eight and a bottom twelve where the bottom twelve try and get those 40 points as quickly as possible (Which even the top half teams seem to be reaching after 34/35 games), the quality players who are anonymous for three quarters of the season actually act more of a hinderence. Southampton are more than capable of returning to a top eight side, but after last season I imagine they wouldn't want any further gambles. Mohamed Elyounoussi has signed for Southampton. A winger that can operate as a forward. I presume this is his replacement. At ten million I'd be saying that's a good price for a team like Watford, West Ham, Everton etc. but it seems a lot on first glance for a 29 year old in the Dutch league. Is this the going rate now over there @Panna King? The Serbia international passed his medical yesterday and put pen to paper on a four-year Ajax contract. He joins for a fee rising to €13.7m. 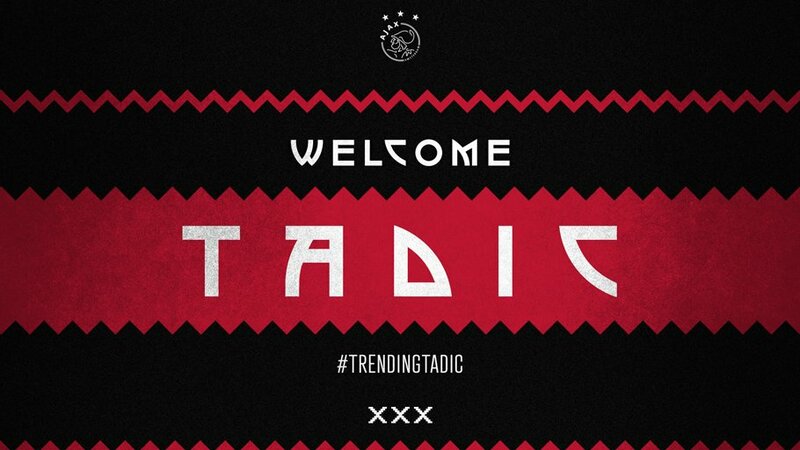 "It was a difficult choice for me," said Tadic. "I chose this because Ajax belongs in the best twenty clubs in the world. It was always my dream to play for Ajax. The club has great fans, big legends, a big history and a nice conception of the game. "I received multiple offers to sign in different countries. I also received offers from the Premier League. I found this option the best for me and my career. I always listen to my heart when I have to make choices. This has become my choice and they have made my choice easier."